The Standards Organisation of Nigeria (SON), has sealed 21 warehouses in Kano, which housed fake and substandard textiles. The Director-General, SON, Mr Osita Aboloma, said on Tuesday that the warehouses were stocked with substandard African print popularly known as ‘Atampa’, near the famous kano textile market. A statement by the organisation made available to the Newsmen in Lagos, noted that Aboloma was represented by the Coordinator of SIM, Mr Isa Suleiman. Aboloma said its Surveillance and Intelligence Monitoring (SIM) Unit in collaboration with a security team sealed the 21 warehouses stocked with textile worth millions of naira. The DG said that the owners of the warehouses were flouting the law, by stocking substandard African prints that did not meet the requirements of the relevant Nigeria Industrial Standards (NIS). The NIS stipulates that African prints should be made of 100 per cent cotton and must not be colour fast amongst other relevant attributes. 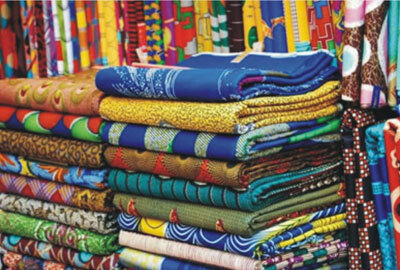 According to him, initial surveillance revealed that the textiles being sold as African prints are actually materials manufactured with up to 70 per cent polyester and about 30 per cent cotton. Meanwhile, some of the prints were discovered to be completely polyester which is at variance to the standard requirement. “That the textile products found in the ware-houses were deemed not to have passed through the legal channels of entry, but rather believed to have been either smuggled into the country, or shipped in through false declarations at the ports of entry. ‘‘Thereby take undue advantage of Nigerian consumers who for the lack of purchasing power patronise these poor-quality textiles and also flouting SON’s extant laws,” he said.